Logitech wants you to spend more time playing or working in the dark with their latest addition, the Wireless Illuminated Keyboard K800. 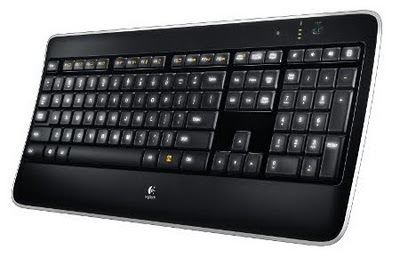 As its name suggests, this keyboard will come with backlit keys that have not yet lost its novelty, although Logitech is nice enough to throw in wireless connectivity this time round for those who are looking forward to the day where they can truly lead a wireless life. The backlight will adjust itself automatically based on the amount of light in the room thanks to integrated ambient light sensors, while motion sensors will detect whether those are your hands that approach the keyboard, turning on the backlight in the process (and vice versa, of course). Manual lighting adjustments lets you tailor the brightness based on your personal preference, while an On/Off switch makes it easier for you to conserve the K800’s battery life. It ought to hit the market later this month for $99.99.